The hype is in full swing for the Floyd Mayweather fight against Conor McGregor. 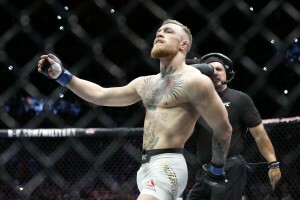 Michael Page, the British fighter, has stated the obvious: if Conor McGregor wins the upcoming August fight against Floyd Mayweather Jr. it will be the biggest upset in the history of sport. 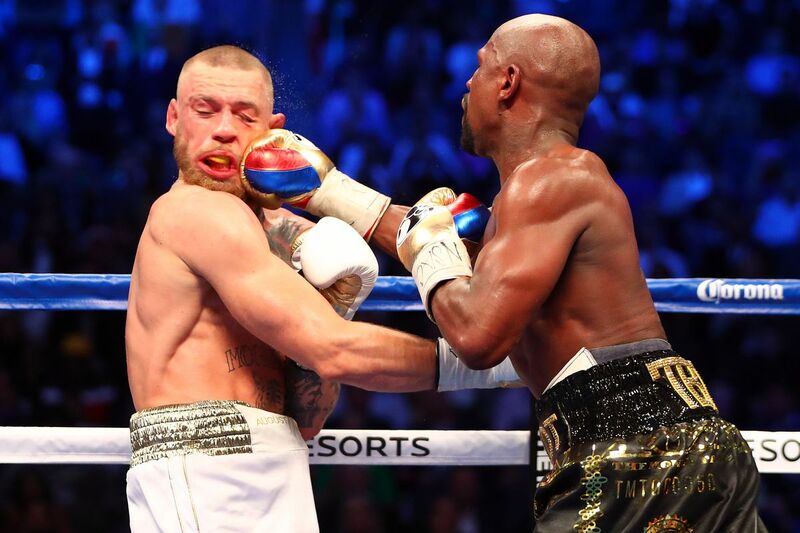 He went on to say that the last time the world experienced anything like this win would be was when Leicester won the Premier League, and that McGregor winning would overshadow that, in just one boxing match, in the unlikely event that he managed to best Mayweather. Mayweather has been keeping his mouth shut, relatively speaking, in the build-up to the Vegas showdown, but he has recently dropped a bombshell: he has told McGregor to forget about the ten ounce gloves he should wear for the fight, and stick to the eight ounce ones he’s more used to instead! 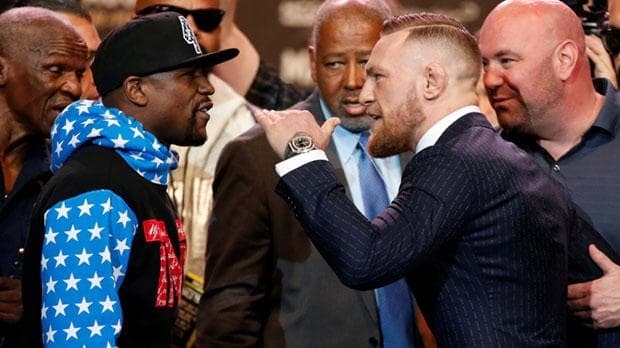 McGregor has claimed that he emerged the winner in each round of his promotional tour alongside the undefeated Mayweather, but one of the biggest criticisms he has had to contend with were allegations of racism due to more-insensitive-than-usual comments he made. 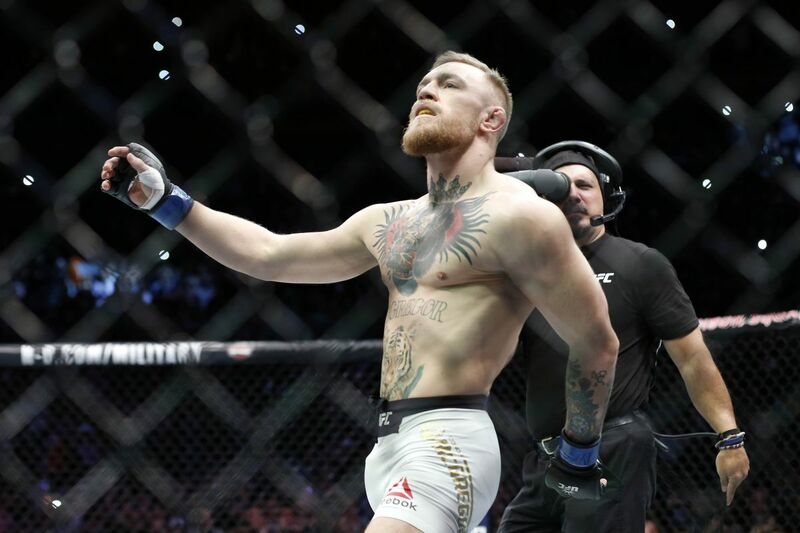 Australian sports betting sites and those around the world have been lapping up every minute of the sensational exchanges, but there are many people that feel that McGregor went too far a number of times. 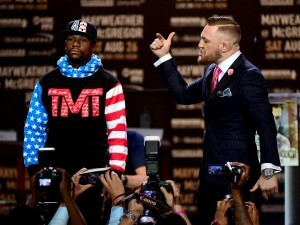 The claims arose after McGregor told Mayweather to dance for him, calling him boy, as well, a moniker with severe racial overtones. 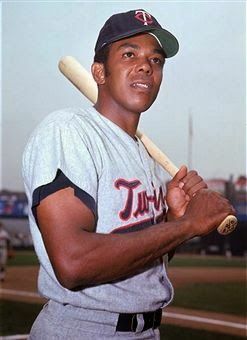 His attempts to diffuse the furore that resulted only added gasoline to the fire, with a further uproar resulting from McGregor’s statement that he was half-black, below the waist. He also referred to black people as dancing monkeys when discussing the third instalment of the Rocky films on a chat show. McGregor had previously laid into Mayweather about reports over the latter’s unpaid taxes, with the IRS claiming that the boxer owes them more than US$20 million in unpaid taxes from 2015. This was the year that Mayweather enjoyed his biggest payday to date thanks to the blockbuster bout against Manny Pacquiao. Conor McGregor will have to keep his feet on the ground during his battle with Floyd Mayweather. McGregor was born to Tony and Margaret McGregor in Crumlin, Dublin, and was raised in that town, attending Gaelscoil and Gaelcholáiste in primary school and Coláiste de hÍde in Tallaght in secondary. He developed his passion for athletics at this time, playing association football for the Lourdes Celtic Football Club. He took up boxing at the town’s boxing club at 12-years of age as well. The McGregors moved to Lucan in Dublin in 2006, and Conor started attending Gaelcholáiste Coláiste Cois Life at this point. After this he began a plumbing apprenticeship, but, luckily for fighting fans the world around, he met up with future fighter for the UFC Tom Egan at this point, and together they started training for the MMA.